Land records can provide valuable information for connecting individuals and family groups. There are several sorts, including land patents, land deeds and land warrants. 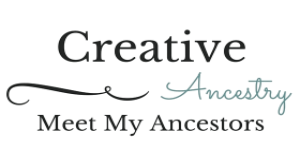 Michelle Goodrum explains quite well the difference in her blog post Land Records for Genealogists: Deeds, Patents and Grants. What’s the Difference? for The In-Depth Genealogist. All of these sorts of land records are represented in some form or fashion within the McKemie One Name Study. Some listings are simply indices which would dictate further digging to get the actual record. However, there are a few instances of scanned documents shared on the site, as well. What can you learn from land records? You can learn the names of individuals and establish relationships between known individuals. It is not uncommon for wives, children and grandchildren to be named and identified as such. You can also connect family groups by understanding the actual locations of the properties detailed in the record. The FamilySearch wiki is an amazing resource for learning more. In looking at old Scottish land records, we find the Register of Sasines (pronounced say-zin, like raisin). There are several mentions listed in the Land Records Department of McKemies associated with land transactions between 1605-1694. Some of these would predate the family group linked to Francis Makemie of Presbyterian fame. He is said to have been born to Scottish parents, though, and so some conjecture is fair and might eventually lead to concrete evidence. The exciting bits were, of course, the names of Patrick J.’s parents, Patrick and Margaret Convoy. Finding Patrick alone wouldn’t have led very far as the name is as common as John or James in the USA, but with the addition of his mother’s name, especially her maiden name, I was launched on a wide array of wildcard, shotgun-style browsing over the last few days. Most of my time was spent in the online resources of FamilySearch.org and I feel that I’ve made a possible connection in their Ireland Births and Baptisms, 1620-1881 database . This database is an index only, which means I’ll be ordering the relevant films when able. However, it does spark some curiosity and for potential connections to be made – a speculative outline, if you will – of the next generation back for my Dougherty line. by Edward Akin, published by B. B. Comer Library and located at the Alabama Mosaic website. Akin, Edward. “Mr. & Mrs. W. J. McKemie Interview Part 1 – July 8, 1981.” Alabama Mosaic. July 8, 1981. Accessed December 4, 2015. http://digital.archives.alabama.gov/cdm/ref/collection/sylacauga/id/151. Today’s Featured Photograph stems from the mystery around what I have for some 15 years or more called The Unknown Team. This is a photograph that I dug out of a closet of my grandmother’s, Novaline Davidson Blackford. They’d belonged to her mother, Cleo Woodard Davidson. I remember the day clearly, as it was a huge surprise to discover these old photographs and newspaper clippings in a cardboard box on the floor of a a random hall closet. It seemed my grandmother and great grandmother shared a penchant for saving odd little tidbits. In between horoscopes from the 1980s clipped from the local newspaper and myriad birthday cards from the 1950s and 60s were clippings of marriage notices and a huge pile of old photographs ranging from (I’m somewhat guessing) 1890-1930. Completely unorganized and wretchedly labeled for the most part. This one stood out, though, as America’s pastime and a glimpse at a man long passed. When I decided to include my interest in technology a part of this blog, Trello and Evernote were at the forefront of my mind. Evernote I’ve used off and on for years, with little consistency. 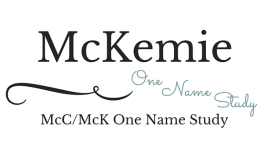 I had my notebooks, my tags, all roughly in line with the organizational system of the McKemie One Name Study. But somehow, the habit never fully formed. The one where using Evernote felt second nature instead of the burden of an additional step. I still felt compelled to print finds out, to bookmark sites, to transcribe online discoveries—which made adding Evernote into the mix seem redundant and too much effort for too little reward. It vaguely felt like something I should be doing, like something I should appreciate. As a consequence, I never quite walked away from Evernote, but I never fully embraced it, either. 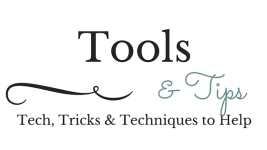 More recently, in exploring the assorted tools at a genealogist’s disposal, I’ve come back around to investigating the usefulness of Evernote. And this time around, I feel as though some bright light has illuminated all that I was missing. Perhaps its the new (to me!) addition of Clippings, perhaps its the IFTTT Recipes, perhaps its the realization that I am not happy being limited by Family Tree Maker and when I searched for something to replace my Excel source database, nothing seemed to fulfill my vision of what I needed to be properly organized. I could see two distinct advantages of Evernote. Organizing for long-term success and storing my research in a temporary (or potentially long-term) sort of way. From: A History and Biographical Cyclopaedia of Butler County Ohio, With Illustrations and Sketches of its Representative Men and Pioneers; Cincinnati Ohio. Western Biographical Publishing Company, 1882. John C. McKEMY, late judge of the common pleas court in Darke County, but now a resident of Hamilton, was born May 5, 1835, in Lexington, Virginia. His father and mother, William and Elizabeth (KIRKPATRICK) McKEMY, were both natives of Virginia, and descendants of the earliest settlers of that State. Both are now dead, the former having died April 8, 1882, aged seventy-nine. Farming was their life vocation, and they resided in their native State until death. W. D. McKEMY, a brother of John C., who was educated by the latter, after serving in the rebel army throughout the Rebellion, and for a long time a prisoner, being captured at the battle of the Wilderness, is now judge of probate at Dayton, and a lawyer of excellent ability. In honor of Veteran’s Day, I thought I would do a little profile of one of my DORRIE ancestors. 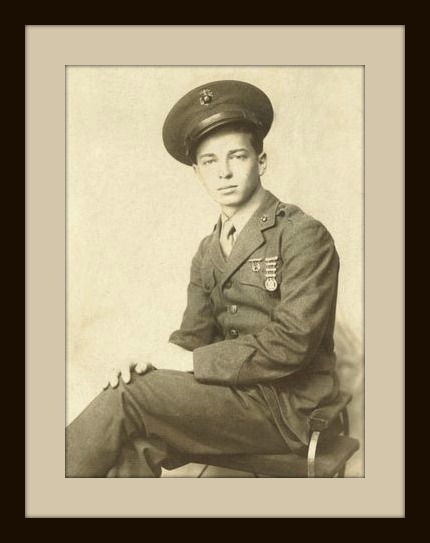 My maternal grandfather served as a Marine during WWII and Korea. The most memorable image I have of him is the one here. He looks so young, but so very proper and gentlemanly. This, naturally, led to my being curious about his military career. Several years ago, I found an old-timey Wild West paperback featuring the exploits of Robert “Little Reddy” McKimie. I didn’t have the book, and at the time, Googling was a dead end. (Yes, really, there was such a time when Googling led to diddly squat!) More recently, I was trying to decide what to do as an inaugural post for the blog, something that would set the tone and yet not be all “well, here I am”. Once I decided to begin as I meant to go on, deciding to explore the shenanigans of Little Reddy was a no-brainer. 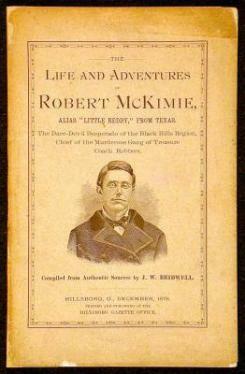 Robert is mentioned in a number of books featuring tails of the “Wild West” of Texas and Ohio. He gained a rather solid reputation, both as a kind and generous man and as a notorious killer, depending on who you asked. I believe family history is meant to be shared. We may not be able to sit around the dinner table and swap stories about way back when, but this blog is the next best thing. Take a gander at the About page for more, but that about sums it up. Sharing my discoveries, that's what I'm about.